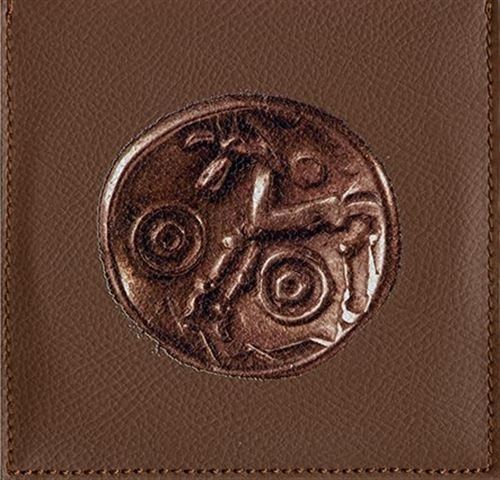 This CD comes in a very special Eco-Leather sleeve, half in Light and half in Dark Brown Leather. Moreover 4 different front-cover prints are available, representing four antique Gaul coins  for a total of 8 different versions of the album cover. Also included is a folding insert with all cover notes. After releasing MILITIAs debut (a split with CON-DOM) in 1995, Old Europa Cafe, 23 years later, proudly presents the ALL NEW Milita Album  dedicated to the great Gaul King! All sounds with the usual unmistakable MILITIA trademark, a big variety of rythms, created by loads of self made percussion tools and wind instrumets. The songs are sung in different languages, including Latin and ancient Gaul. The definitive MILITIA album, the album of their maturity.